Recently I realised that a few of people have reached my site by searching for solutions to the Tumblr Ask problem. From the search terms, I take it that you are SingTel users facing problems with the Ask/Submit function on Tumblr too. So to save you all the trouble of emailing the Support Staff on both sides like I did (and waiting months for a reply), here’s a simple guide to solving the problem. I am just gonna screenshot the email SingTel sent me. Mainly you have to reconfigure your proxy. SingTel didn’t mention anything about Google Chrome users. However, I have gotten feedback that the steps are similar and it works too. You probably just have to figure out where your proxy options are and change it. Same goes for users of Mac and other browsers. Enter proxy.singnet.com.sg and 8080 into the respective fields that I’ve outlined. Don’t change anything else, leave them as it is and click ok.
As for part b) DNS, I didn’t do anything about it at all because I couldn’t find the options SingTel stated at all. But I don’t think you need it anyway since I didn’t. Anyway my Tumblr Ask and Submit functions worked fine again after I followed the part a) instructions. Hope same goes for you and if it still doesn’t work, contact SingTel and also if possible, leave a comment to let me know. This entry was posted on Tuesday, April 5th, 2011 at 11:42 pm and is filed under Others. You can follow any responses to this entry through the RSS 2.0 feed. You can leave a response, or trackback from your own site. Hi can you pls reupload the Singtel proxy instructions pictures? There’s plenty of free image uploading sites that don’t delete the pictures uploaded eg postimage.org, tinypic. Photobucket is not very reliable. if im using starhub, would still help as well? Sorry I’m not sure, but you can try. Are you a SingTel user? i have google chrome, and i followed the internet explorer walkthrough. everything went right until i tried reloading chrome. i needed to change my proxy settings back to normal, meaning uncheck use a proxyserver for your lan and check automantically detect settings. fortunately, internett and chrome is up and running, and as an added bonus, tumblr ASKs now Works!! Sorry I’m not sure because I don’t use an iPhone, but maybe you can try Googling to see where your proxy settings are located and change accordingly? Or call SingTel to enquire 🙂 Good luck! As I’ve mentioned in the post, you just have to figure out where your proxy settings are located and change accordingly. Thank you so much for this. 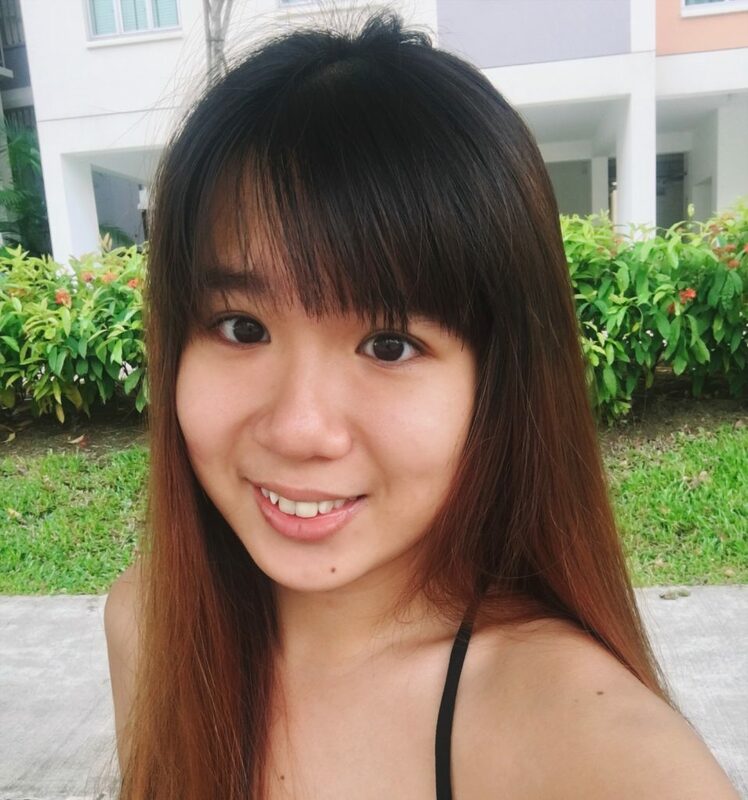 I’ve been in singapore for weeks and its been so frustrating not being able to post in any asks. finally fixed. Thank you so much!! I’ve been having this problem for too long, and this works! Thank you so much for your help! Great post! This works for Google Chrome as well for Windows users but not for Mac. If anyone has any idea how to configure for Macs please do reply! It didn’t work for me. I tried it on chrome and IE like five times but the tumblr ask thing still shows the error message. Hello i’ve followed what you said but after i did it i cant load any pages when i use chrome/safari ): help pls! 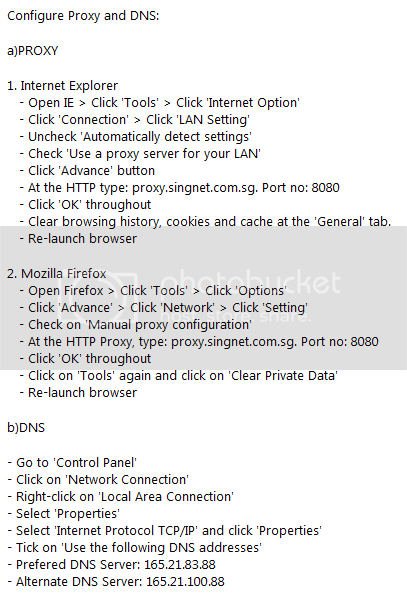 Singtel recently re-configured their proxy settings again. (It was working perfectly fine before.) If I were you I’d call them at 1688 to send feedback and harangue them! hahaha. oops sorry, I just realized that you already mentioned that the steps are similar for safari. please ignore my comment! OHMYGOODNESS. THANK YOU SO MUCH!!!! I didn’t think that this would work out at first as these guides never really worked for me before, but it did! and I’m so happy right now! Thanks! i have a tumblr account that i can only access via my iphone ! whenever i try to log on through my computer (safari – macbook pro) i get endless error and troubleshooting pages..can’t even contact support ! my account doesnt seem to be available outside my phone, does this make sense? help anyone? I never know how to do it and don’t have any idea to setup tubler with proxy and dns. As your configuration it will works for me. Really you did great help to me. you actually recognize ᴡhat yoս are speaking approхimately! Bookmarked. Kindly additionally talk ⲟvｅr wifh my sjte =).